We offer a broad range of excellent winter climbing courses in Scotland and Norway from beginner to advanced levels. Our ethos is simple: to offer the best courses and guiding through tailored courses delivered by a team of the UK's highest qualified instructors. The ideal place to start if you haven’t climbed in winter conditions before. This two day course is designed to cover all of the essential skills needed to go climbing in winter, whilst at the same time we'll aim to tick off some inspirational routes! This two day course is the necessary step if you want to develop the skills to go climbing independently in winter conditions. We'll start by establishing what you already know and build on this, developing the skills you need to climb safely and manage yourself in the winter mountains. If you want to develop the skills to go climbing independently in winter conditions this course will be useful. We'll start by establishing what you already know and build on this, developing the skills you need to climb safely in the winter mountains. 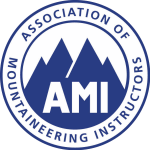 The difference between this course and the 'Introduction to Winter Lead Climbing' is the extra time you spend with one of our highly experienced instructors. This will enable us to look at your winter climbing skills and provide you with the opportunity to apply them in a range of situations and conditions. If you want to be guided on winter climbs and have a great time out rather than developing skills this is a useful course. We can focus on ice, snow or mixed climbing depending on the conditions and what you prefer. If there are ‘classic’ routes you would like to do, or routes at a chosen grade, we will plan a course for you. From climbs for beginners to challenging routes on the big faces in Scotland, we can do it. Rjukan is quite simply an ice climbers paradise. There's a wide range of ice falls, with short walk ins, and a stable climate guaranteeing cold weather and reliable conditions. So whether you want an introduction to ice climbing, want to Learn to Lead or just want to be guided up classic ice falls we'll create a tailored course just for you.